In Isaiah 49:16, the Bible says God has engraven all His Children in the Palm of His Hands. This means you are Special to God, Loved, Highly Beloved, Valued and Known God’s permanent possession and His Friend. God’s Written or Tattooed your name so is not turning His back on you because God Loves you deeply. God is so over the top in love with us He has our names engraved and tattooed on the Palm of His Hands. Right where God Will Constantly see all His Children always by anthropomorphism. Jesus Lovers tattoo Christ painstakingly meticulously on their body to spread their love of God. Popular art of Jesus is really beautiful taken on by long hours of people enduring pain to have Jesus put on their body to celebrate Jesus Christ. It is amazing the details of Christian Bible message highly accurate depiction of the Saviour Jesus Christ and God’s angels. 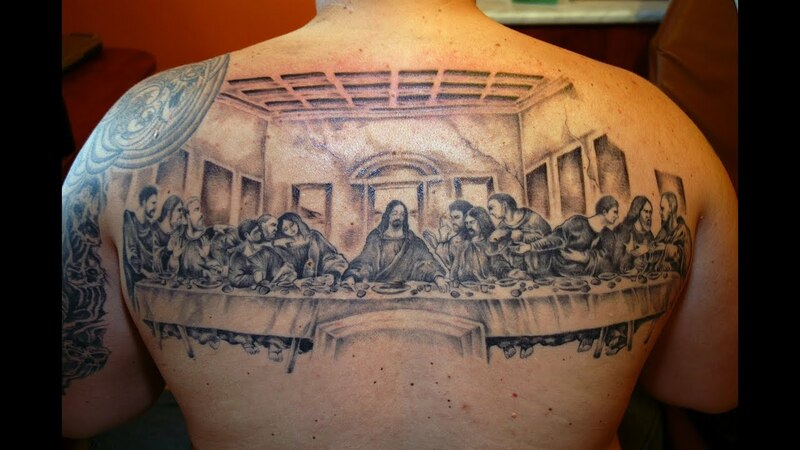 So good to see Christian Gospel message in this way boldly displayed on the body. 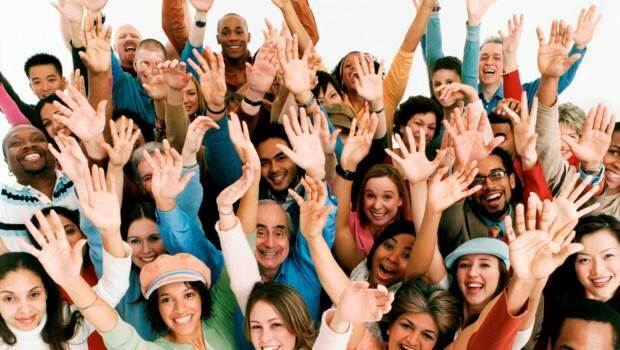 This is how some people feel strongly about Gospel message good news impact on their lives so share it boldly with the world. Many wonderful designs tell love of God to bring Gospel message out loud. As a picture speaks thousand words so details portrays art forms representing Gospel. God uses symbol images to teach lessons and give instructions from the Bible. Same principle followed by many to relate with God in a meaningful way. It includes message of Jesus crucifixion. People demonstrate romantic love and affection with the tattoos of each other’s names on body to profess love boldly and publicly to show affection to their highly beloved ones. As long as the relationship lasts their tattoos remains throughout their lives deeply in love. Some people get married with tattoos on their body. In addition, to wedding rings, get wife’s name tattooed on his arm or vice versa seen as a symbolic token of Love. Visual art graphic design is the fastest form of sharing messages on God/Pin Interest. Especially these days tattoos are a global art form among younger generations. So art competitions by studios specialising on decorating people with tattoos held to celebrate tattoos. On the other hand the trouble with tattoo is it cannot erase easily when you change your mind. It becomes complicated married to spouse with another ex-partner’s name, picture symbol, mark as a constant reminder of what rather prefers not to remember. So people spend all rest of life entrenching themselves in defense of tattoo they got when younger. Sometimes embarrasing to carry explicit tattoo image contrary to matured wiser person one has become. It is the same way Jesus Lives with Scars of His Crucifixion for His Body Sacrifice. Jesus has marks on His Hands and Feet to reveal His Unique Calling for salvation of all mankind. God does mind this mark on Jesus who gave His Life freely as a ransom for many. So no pain no gain was what Jesus did so it cost Jesus so much to save lives. Many people live with scars or marks that could not be avoided to save their lives. So when God Sees Jesus Hand Constant Reminder Redemptive images of Divine Exchange for sin, covers them by faith by the Blood of Jesus. Thereby God disconnects to deactivates any soul ties. Outwardly may seem different than genuine true inner refined personality. So symbol of past wild crazy days display previous state of mind at a stage in life. Come to terms to understand God looks at inwards parts of the heart if repents of past errors. Trust God living righteously experience reality to come to terms with. According to the Bible God gave laws on marking ou making cutting patterns of any kind of incisions on the body. This is because such body marks are associated with specific rituals or cults that identify members. It was a point of contact made using specially concocted secret items to rub inside body incission. Fetish priests makes pronouncements pouring libation to seal the deal of committing person to ancestors or spiritual guardians invoked to protect cult members. They are given a list of taboos and totems to observe to belong to the secret cult. They asked to eat certain good to avoid some meats or events depending on cult. Can be direct invitation into spiritual world and blind witchcraft unawares by the participants. In those moments of life Jesus Comes to Save, Deliver, Heal Translate us from the kingdom of darkness into Kingdom of the Glorious Gospel of Jesus Christ. From God’s point of view human beings He created are His Personal Patented Property engraved in Palm of His Hands. A Jealous God does not want fresco of idols or idolatory rival marks on His Own Beloved Children. So warns against it in Leviticus 19 : 27-29 states, “Do not cut or mark your bodies for the dead or put any kind of piercings tattoo mark on yourselves I AM LORD God ALMIGHTY.” Because your body is God’s Temple dwelt in by Holy Spirit. Tattoo is a logo advert images God does not approve because it is not pleasing to God but loves people anyway. Tattoos marks body in past for identification when there was no written records of family trees, photographs or DNA. So tattoos served a purpose before era of accurate record keeping emerged. Whatever the reason for tattoo God does not reject people for marks put on skins. In a secular society against God, people are given freedom in the name of political correctness by leaders in a country to do as they like. When God told Adam and Eve not to eat from tree of life the devil gave permission to do so although he did not create, own Adam, Eve or tree. In addition, it was symbol used to mark members of cult to initiate in idol covenant relationship. A person in secret society given tattoo to prove a member of body. So Remnant Christian believer participation forbids worship of pagans god symbols. The Good Shephetd Jesus Gospel seen here. The relationship between ritual idol tattoos of ancient times linked to idolatry in some body art today. Tattoos were used extensively as pagan temple worship symbol but in Christian Church decoration. Similarly a person saved born again bears the Mark of Jesus Christ on the body too. Though some forbid it based on Leviticus 19:28 tattoos forbidden in God’s Bible Christian principles. God Wisely forbids it as some were the signs of apostasy of shedding human blood DNA in solidarity to petson mark belonging to shrine or groove. Tattoos and piercings were again used to mark slaves as belonging to the owner of property. Branding commonly used in process of burning mark into stock animal’s hide of cattle to identify ownership. Branding important aspects of the large, small, retail businesses. Effective brand strategy gives major edge to competitive markets spiritually speaking volumes. Though used to mark cattle or slaves in past now used for God. The symbols and images tattooed often are not pleasing to God Almighty. So a Christian remnant on the few narrow way of God must decide whether they should please God or their peers. So the Bible teaches God forbids tattoos and other cosmetic body piercings. So this passage indicates tattoo is forbidden for true genuine Christian believers. God allows permissive will to grant any one who strongly feels they wish to do so. A parent may not agree with obnoxious decisions by a child so does God still love them. Without cortex make rebellious decision, get tattoos while young, regret it years later after maturity God loves all. God created people perfectly so does not need extra help to improve His authentic original design God owns the Christian believer’s body. God feels some pledge double allegiance to God and mammon by including pagan belief in Christianity. Mixed heathen fetish mark tattoos act of desecration and vandalism of Holy God’s Temple. So God wants to keep body as naturally perfect as possible for God. So God warns not to serve 2 masters to but to serve God only exclusively. The world condones tattoos as freedom of choice to live life as one pleases. People think they have personal control over the body but Christian remnant belong to God. It does not matter the flesh as much as the soul as long as the heart is right with God. So flesh will be changed transformed into Glorious heavenly body those in Christ. The Christian believer is set apart for God so belongs to God. Christ Jesus bought believers by His shed blood to redeem them from any images that gives access to spiritual connections not of the living God. God created people perfectly so does not need them to help God improve his authentic original design as God owns the Christian believer’s body. God knows a person well in detail so counted number of hair follicles on their head. In the age of political correctness some deliberately conceal tattoos to gain employment. After securing job reveal to provoke become defiant accuse company of undisclosed ploy to get compensation for discrimination. Why gain the whole world to lose your soul? For God Already Has one firmly marked upon His Hands. God knows the body so intimately so no need to advertise the body before God recognises His Own Beloved Children. Tattoos are big business sold as one best good way openly display love, affection, to take stand for cause. Christ sees using God’s body mobile bill board adverts, some took risks and even lost lives in process. Jesus said what comes out of inward inner, spirit soul, filled by Holy Spirit is what defines a person or makes holy. Man looks on the outward side but God looks on inner – heart. Spirit soul in Christ in God in tattooed etc. perfectly is giving Glory to God. Others think defiles original and authentic natural external outward beauty although the flesh pays price in pain, suffering. Salvation is in name of Jesus Christ not works of flesh. It is a controversial subject tattoo lovers feel they are attacked. Puritan believers feel they must literally abide by Bible. Some keep tattoos of good memory but others deeply regret years later tattoo of sadnesd after loss of affection so remove it after divorce or cannot remove it although moved on in relationship. Born again Christian believers follows and Obeys God’s laws and rules. The good news is actions taken in life, things done prior to awareness full God Knowledge understanding of word of God is forgiven by God. God chose remnant not based on appearance of flesh but pure clean Godly heart. There is nothing more believers can do than rest infinished work of Christ Jesus at Calvary Cross. To believe, receive, accept Christ is enough as God does not want DNA blood sacrifices enhance His perfect sacrifice for salvation. Some do not allow tattoos in certain businesses but others have them in discreet places hidden from the public view. So the controversy of tattoos goes on in debates between opposing sides. Angels are also depicted in tattoos. Believers with any previous tattoo before salvation did not knowing the Bible and God’s laws are forgiven by Christ and washed clean as white as snow. The good news is flesh and blood does not inherit heaven so flesh discarded on earth after demise not used in heaven. So God gives heavenly garment of righteousness. God prefers true remnant Christian believers keep body exclusive sacred holy Temple to dwell in. God does not want to share His Glorious Home body of idol symbols. Some create impression not happy with body so deface it for attention. Others have difficulty finding jobs in certain strict dress code environments. God will not stop born again believers from heaven for tattoos if repentant Christ as gives heavenly righteous garments on entryinto heavenly Joy and worship. People are made to feel they must always give something for something to feel good. So this concept seeped into belief and faith in God, Some are made to feel they must help in some way to ensure they give some contribution back to God before they content, qualify or deserve God’s mercy and grace. Christ paid for sins by BLOOD SACRIFICE excruciating crucifixion of His Body. So all believers perfectly sanctified once repents saved cleansed blood of Jesus, no other ransom or declaration of the flesh is necessary according to Ephesians 1:7 Acts 17:11, 20:28; Romans 3:25. We have redemption through Christ. God made Christ Ultimate Priceless Paying Highest Price. So not your own but bought by Jesus. Belong to Awesome God we serve! 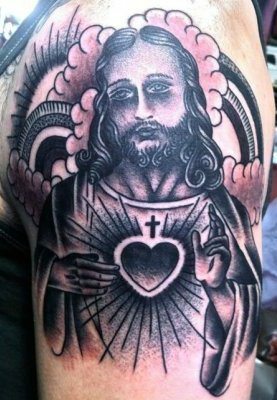 This entry was posted in Christianity, God is love, God's 44 visible presence on earth, Godly garments of praise, Jesus' Blood Cleanses and Purifies from sin and tagged cult tattoo initiation, DNA tattoo ritual for idol worship, God Engraves names of His Hands, God tattooed names on Palms, Leviticus 19:27-29 forbids tattoos, pagan tattoos sign of membership, piercings and tattoo branded slaves, remnant forbidden tattoos, tattoo brands property for owner, tattoo health risks, Tattoos, tattoos forbidden by God. Bookmark the permalink. Great post, God is sooo good. We need to find peace by looking to God. Beloved in Christ, indeed God is really so good we have God’s Perfect Peace which passes all human understanding. So as mature believers rest in Christ, in assurance we do not constantly totally have to desperately look to God helplessly like a new born baby Christian. God bless you. Thanks wonderful sister in Christ. God is so good and merciful to us in Jesus Name! Amen… this is so true. Thanks for sharing this.